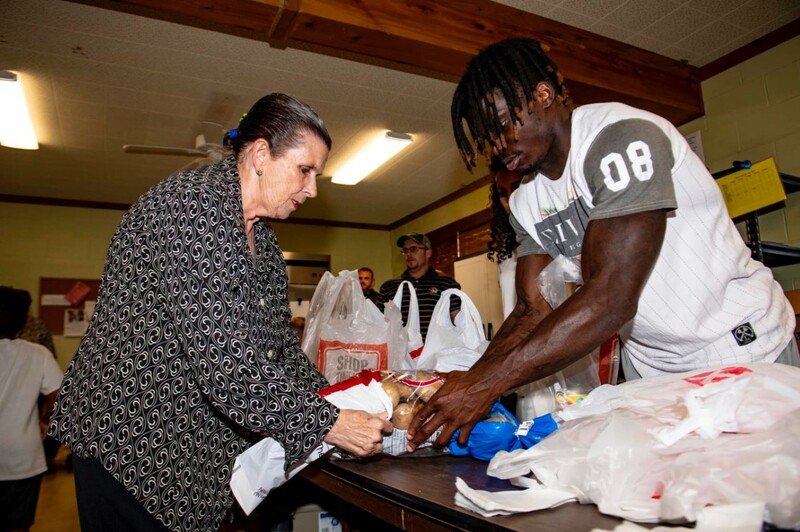 WASHINGTON, D.C. – Tyreek Hill has been named Week 3 NFLPA Community MVP for contributing to the fight against hunger by delivering food items to 125 families at a Kansas City pantry. The speedy wideout volunteered at the Hope WRX Food Pantry on September 24, helping visitors select grocery items such as watermelon, potatoes, pasta, milk, frozen meat and other fresh produce. Once everything was bagged, Hill carried the items to each family’s car and took time to interact with them. His efforts aligned with the mission of the Tyreek Hill Foundation, which seeks to impact single-parent households and at-risk youth in the Kansas City community through education, wellness and fitness. For this event, Hill teamed up with Harvesters to identify Hope WRX, which provides programming and facilities to serve those in need on a social, economic, emotional, physical and spiritual basis within the Northland Kansas City area. This particular food pantry serves between 700 and 800 families each month. Over the past year, Hill has poured his heart back into the area through various programs. Last fall, he helped distribute 185 turkeys and chickens to families during Thanksgiving. He also held a free football camp for 165 youth in his hometown of Pearson, GA. And through the Tyreek Hill Foundation Scholarship, 10 winners from the inner city have been rewarded with funds for area-based education. In honor of Hill being named this week’s Community MVP, the NFLPA will make a $10,000 contribution to his foundation or charity of choice along with an in-kind donation to him on behalf of our supporting partner Delta Private Jets. A limited-edition bobblehead will also be made of Gordon and sold by our supporting partner Forever Collectibles at www.sportsfanisland.com and www.foco.com. The NFLPA will donate part of the proceeds from this collector’s item to the player’s charity or foundation of choice. Hill, along with the other 2018 Community MVPs, will become eligible for this year’s Alan Page Community Award, which is the highest honor that the NFLPA can bestow upon a player.